Jessie Holton - Aussie SU Demo : New! Inside the Lines Designer Series Paper by Stampin' Up! New! Inside the Lines Designer Series Paper by Stampin' Up! 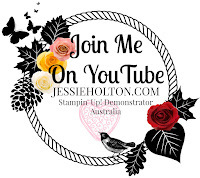 As a little special, I thought I would take a few chances while I'm having a little down time, to show you guys some of the new products by Stampin' Up! If you're a fan of YouTube, you can subscribe to their channel to see all of their new product releases & they'll often do little videos to show you the tips on how to use the products, too! Today's video is about the new Inside the Lines Designer Series Paper (DSP) which is a Sale-A-Bration item. You can earn Sale-A-Bration products for free with any $90AUD spend incrementally (eg $90 = 1 free product, $180 = 2 etc). For example, if you bought the new Dragonfly Dreams Bundle $81.25, which coordinates with the patterns in this DSP & some cardstock $14 (total $95.25), then you could choose the DSP as your freebie! Ask me if you have any queries & if you don't yet have the catalog, you can sign up for yours here! Remember you can earn the free Sale-A-Bration items like the gorgeous Inside the Lines Designer Series Paper! Any current products in increments of $90AUD will get you a Sale-A-Bration item for free, $180 for two etc. This promotion runs from 4 January - 31 March 2017. Here's some inspiration for you to earn yourself some freebies - any combo over $90 will earn you one!